Seventy years after the federal government forcibly relocated Ahiarmuit away from their homeland, it’s apologizing to the 21 survivors and their families in Arviat, Nunavut, on Tuesday. 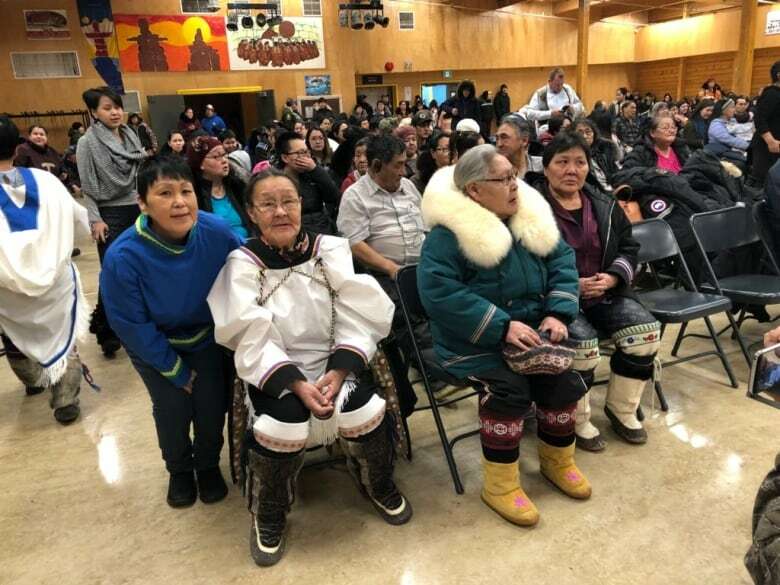 Seventy years after the federal government forcibly relocated Ahiarmuit away from their homeland, it's apologizing to 21 survivors and their families in Arviat, Nunavut, Tuesday. Minister of Crown-Indigenous Relations Carolyn Bennett delivered the apology in the community, saying the forced relocations were because of a "colonial mindset" and caused "indignity, starvation and death." "I would also like to acknowledge those Ahiarmiut who lost their lives as a result of the relocations and who have passed away in the years since," she said. "This apology is a tribute to their spirits and their memories. It is also an opportunity for all Canadians to learn about and reflect upon a dark chapter in our history. "I humbly and sincerely offer these words to all Ahiarmiut past and present," said Bennett. "We are sorry." The day's commemorative activities include a speech by David Serkoak who's spent 20 years working to get the apology and settlement, a plaque unveiling and a community feast. It also included speeches from several prominent Inuit, including Nunavut premier Joe Savikataaq, Nunavut Tunngavik president Aluki Kotierk, and Inuit Tapiriit Kanatami president Natan Obed. The Ahiarmiut lived inland from Hudson's Bay in 1950, when the government decided to move them the first time. Several other relocations occurred in the 10 year period that followed. Bennett also apologized for the amount of time it took to get an apology — when the legal claim was first filed, 27 relocated Ahiarmiut were still alive, today there are only 21. The Ahiarmiut reached a $5 million settlement with the government this past summer, $100,000 for each of the survivors and $3,000 each for the 164 children of the relocated. 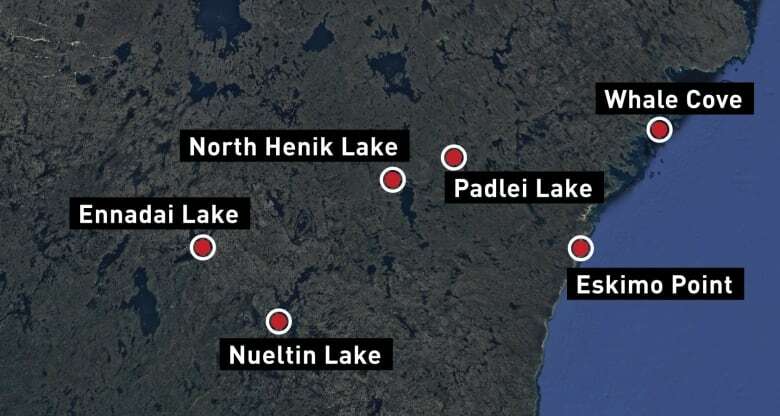 Approximately 80 families were packed on airplanes and taken from their home near Ennadai Lake, according to Nunavut Tunngavik Inc.
"Elders speak about having their tents destroyed in front of their eyes before getting on the airplane," Bennett said. The first move took Ahiarmiut to an island in Nueltin Lake in May 1950. They did not get to bring basic tools, like axes, caribou hides to make new shelters or other necessities for survival. They were not consulted beforehand, they did not get an explanation and they never gave their permission to be moved. "The Ahiarmiut were moved in a matter of hours, but the effects of the Government of Canada's actions continue to be felt to this day," Bennett said. The only help the Ahiarmuit got was from Dene hunters, but still food was scarce and several people fell ill and died. As fall approached, knowing they could not survive the winter, the group began a three-month, 100 kilometre walk back to Ennadai Lake through the snow. They knew the migration routes of caribou and where to find smaller game around Ennadai, but still, years later, the government moved them again. In 1957, despite being told by Ahiarmiut that the place they were moving to did not have plentiful hunting, the Canadian government thought it knew better and left Ahiarmiut near with only six dogs and short term provisions at North Henik and Oftedal Lakes. Seven Ahiarmiut died after this move, including one who was murdered and another killed in self-defence, so the government moved them again — this time to Arviat. Arviat was not a comfortable place for the Ahiarmuit. They were held in police custody, their caribou skin clothing was destroyed and they were discouraged from engaging in traditional activities like drum dancing. 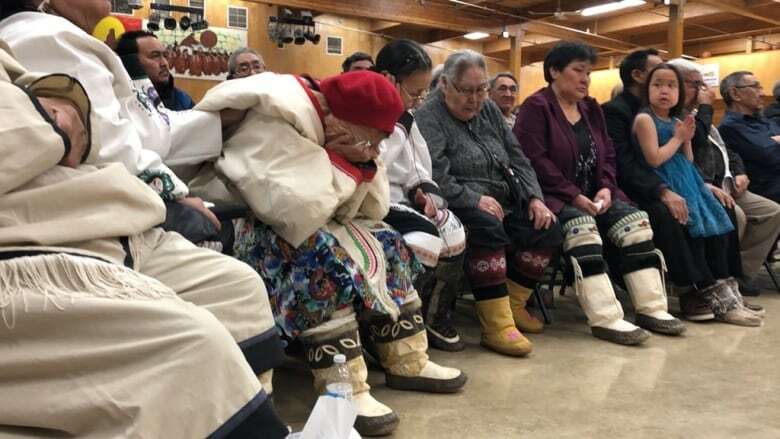 Some were moved again to Rankin Inlet and then to Whale Cove, where elders speak of being treated like outsiders, losing their dialect and having to adapt to new foods and cultural practices. Bennett closed out the apology by saying that no apology can make up for the terrible memories and lost loved ones, but said she is hopeful the milestone can be a foundation for healing and reconciliation.